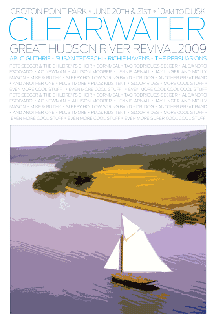 [designer’s comment] These pages show initial sketches for a website redesign for the Clearwater Festival. 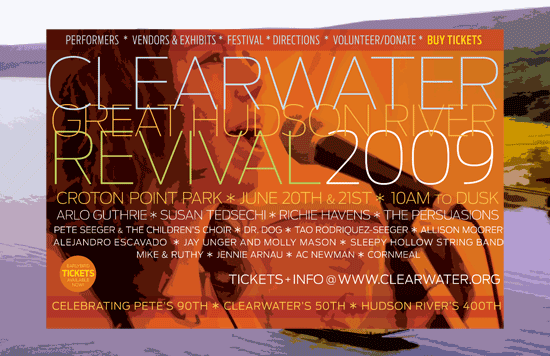 The design was started during NY Designlab’s overhaul of Clearwater’s 2009 event marketing (the web project was not completed)—they begin to show how Clearwater’s web presence could be integrated with the rest of its marketing. For more work with Clearwater see links below. The elements below show the old design (not NYDL), and a sketch for that year’s poster and the marketing deck both by NYDL. Typography: The primary font used is Antenna, with Verdana used as a web text companion.